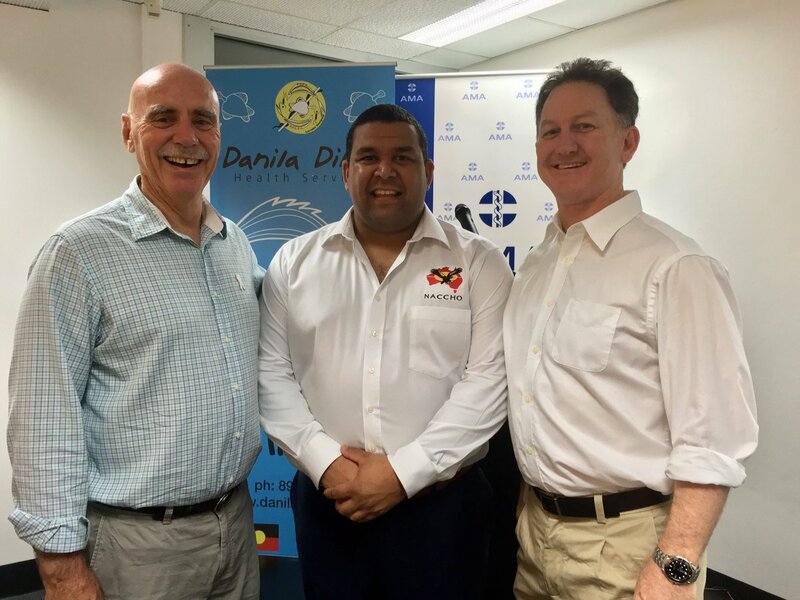 “I congratulate RAHC on its outstanding record of providing high-calibre, clinically competent and culturally sensitive health workers for the Northern Territory. Without this initiative, and dedicated professionals many people would have to go without, or delay health care attendance or have to travel long distances to access care. 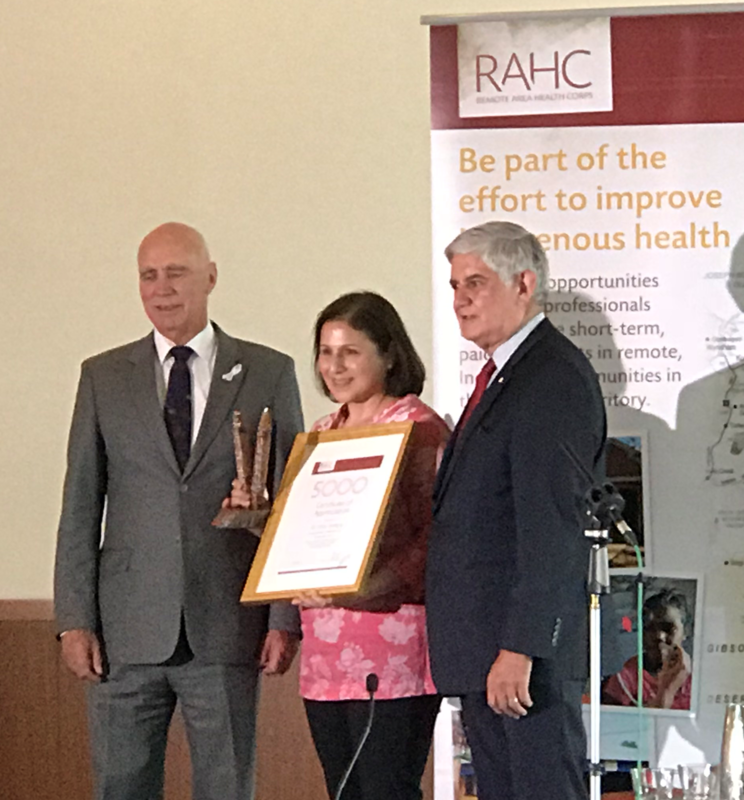 At the RAHC 5000th placement event in Canberra , Minister for Indigenous Health, the Hon Ken Wyatt, said programs like RAHC were making a big difference to the lives of Aboriginal people. ” Several RAHC health professionals have enjoyed their placement in the picturesque community of Areyonga or Utju. Despite its relatively small population, there are some vital services in the area such as a community arts centre, swimming pool, outdoor basketball court, sports ovals, a community store and the Lutheran Church. 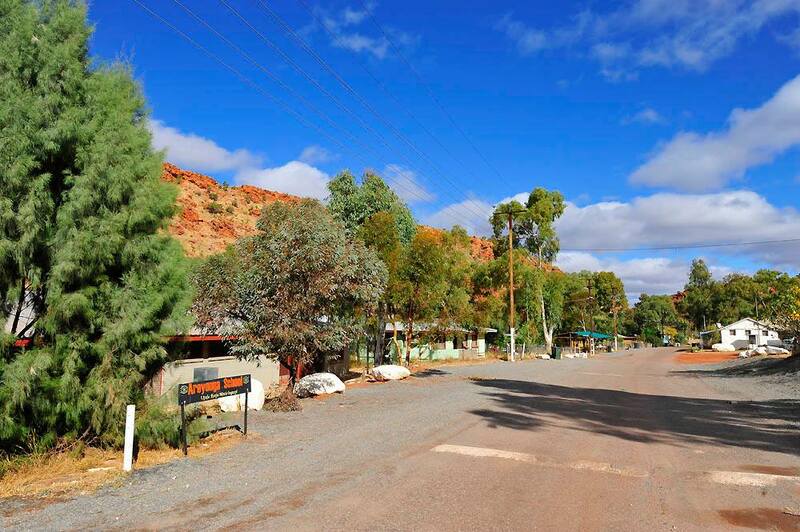 Utju Health Service is a remote clinic of Central Australia Aboriginal Congress (CAAC) that provides 24 hours, 7 days a week acute/emergency response through health staff on call and primary health care to the community. 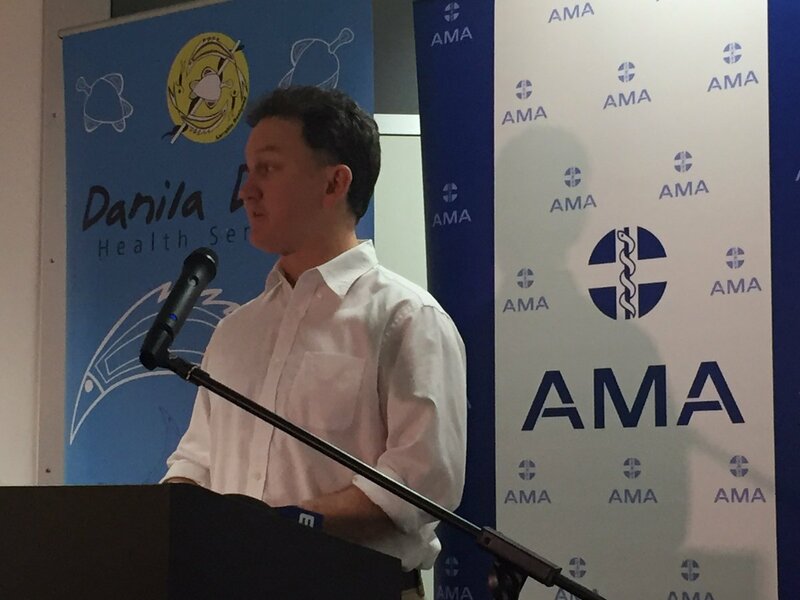 A successful program to help overcome critical health workforce shortages in the Northern Territory has placed its 5000th health professional. 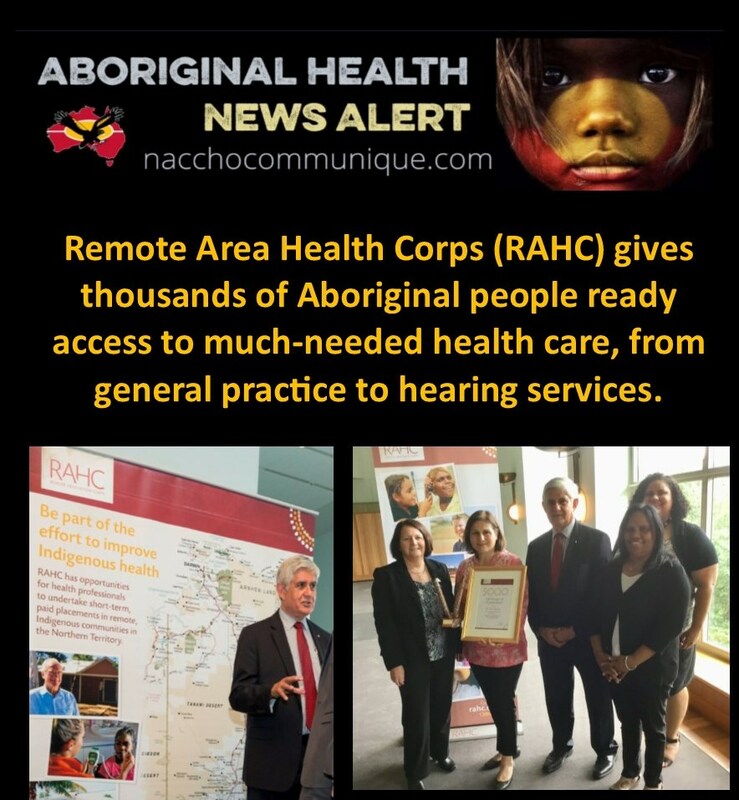 The Remote Area Health Corps (RAHC) has given thousands of Aboriginal and Torres Strait Islander people ready access to much-needed health care, from general practice to hearing services. “This highly successful initiative continues to grow, attracting, recruiting and supporting health professionals to undertake short-term placements,” Minister Wyatt said. “I congratulate RAHC and Aspen Medical on this significant milestone and for their dedication to providing quality care. “Without the RAHC, many Aboriginal and Torres Strait Islander people would have to go without, or delay health care services, or travel considerable distances to access care. “Delivering affordable and sustainable universal healthcare for all Australians is a Turnbull Government priority, and we must work together to address the cultural and systemic barriers that exist. Since 2008, the RAHC program has expanded from 100 health professional placements annually to more than 660 in 2016–2017. Current Turnbull Government funding is $18 million (2015-16 to 2017-18). Dr Tselepis says she has a profound respect for Aboriginal people and their culture and is inspired by her role in helping children grow up feeling strong and empowered. “There is no doubt the program’s expansion has been helped by the 80 per cent repeat rate, with the majority of these mainly urban-based health workers regularly returning to undertake additional placements across the Territory,” said Minister Wyatt. “For instance, Vikki has undertaken 17 RAHC placements, including the centres of Galiwinku, Gapuwiyak, Santa Teresa and Wadeye. 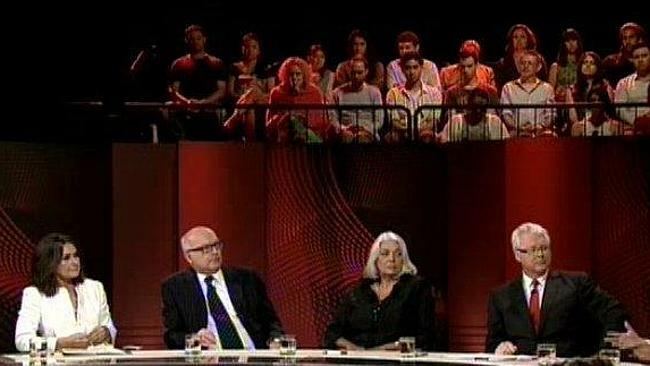 NACCHO Aboriginal Health Debate 3 of 3 @BillShortenMP speech #ClosingtheGap Our future is your future. 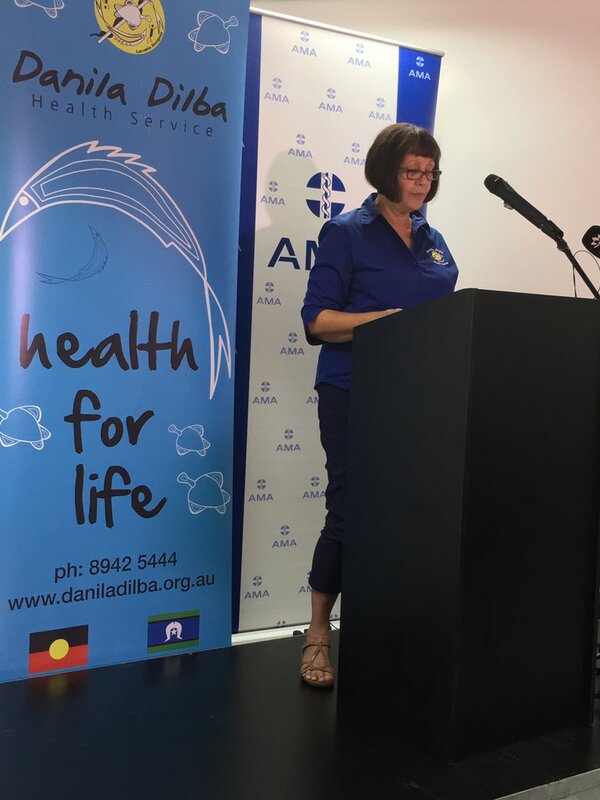 ” Bill Shorten pointed to the National Aboriginal Community Controlled Health Organisations around this country and the magnificent work they are doing to improve the health outcomes for Aboriginal and Torres Strait Islander people right around this country. They are the best examples of comprehensive primary health care in the nation. What we do not want is for them to be white-anted by some competitive-funding model, which has the potential to happen. So I say to the government: invest in what we know works. I am sure that if we do that, we can get better outcomes all round. I note also—and the Leader of the Opposition spoke about this today—that there are programs that actually do work well. Can I firstly acknowledge the traditional owners of this great land that we are on, the Ngunawal and the Ngambri people, and acknowledge the traditional owners of all Aboriginal lands—all Aboriginal nations—right around this country, most particularly in my own electorate of Lingiari, which traverses 1.34 million square kilometres, one-sixth of Australia’s landmass, and has a sizeable proportion of the remote Aboriginal population. I acknowledge the Ngunnawal and Ngambri peoples, traditional owners of the land upon which we meet. I pay my respects to elders past, present and emerging. This tradition of recognition goes back millennia. This parliament and the nation we call home is, was and always will be Aboriginal land. Where we are, so too are Aboriginal peoples: from the Noonga near Perth to the Eora of Sydney, the Nunga of Adelaide, the Kulin around Melbourne, the Palawah of Tassie, the Murri of Brisbane and Torres Strait Islanders. We are one country, enriched by hundreds of nations, languages and traditions. After the last election, I took on the shadow ministry for Indigenous affairs. My family and I went back to Garma to listen and learn. I have met with Northern Territory leaders, defending the young men being abused in juvenile detention. I travelled to Wave Hill to commemorate the courage of Vincent Lingiari and the Gurindji. And I have looked to my Indigenous colleagues for their wisdom. 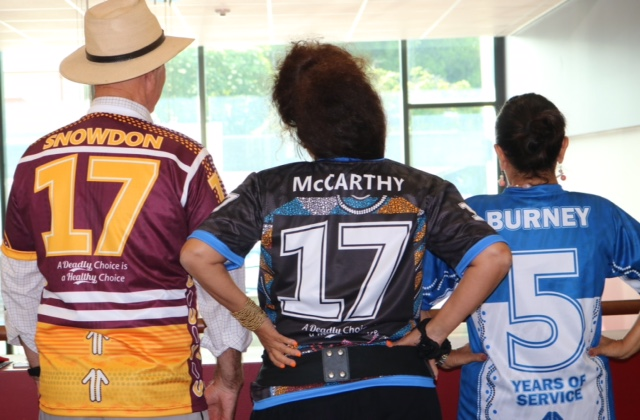 They are as inspirational as they are modest: a Wiradjuri woman in the House, a shadow minister; a Yanuwa woman in the Senate, heading our Aboriginal and Torres Strait Islander caucus committee; and a Yawuru man, the father of reconciliation, I look to him as my mentor and assistant shadow minister. I also recognise the member for Hasluck, Ken Wyatt, and congratulate him on his historic appointment, and I recognise too Senator Lambie. I will never forget walking into Cairns West Primary on Djabugay Country on the first day of last year’s election campaign and I saw the wide-eyed smiles of so many young Aboriginal students as I introduced them to Senator Patrick Dodson. The value of role models, of the next generation seeing faces like theirs in places of power, cannot be underestimated. It should not be the exception. We should make it the rule. In the Labor Party, we are doing better than we have, but what we did before was simply not good enough and I want us to improve, not just at the federal level but at every level of government. There are so many First Australians in the galleries today. You are friends and your peers would elevate and enrich our parliament with your talent, whichever party you choose. I look forward to the day, and can imagine the day, when one of the First Australians is our Prime Minister or, indeed, our head of state. As the Prime Minister mentioned, the Referendum Council are continuing their important community conversations. After the Uluru gathering, it will be time for the parliament to step up and draw upon these consultations and to finally agree a set of words to put to the Australian people. I believe, and let me be clear, that this parliament, this year, should agree on a way forward—not a vague poetic statement meaning nothing and offending no-one by saying nothing; a meaningful proposition that every Australian can understand and, I remain confident, Australians will overwhelmingly support. Recognition is not the end of the road, but it should be the beginning of a new, far more equal relationship between the first peoples of this nation and all of us who have followed. And that is where the listening and the learning must reach beyond the walls of this chamber. I do not seek to present a balance sheet of the good and the bad—not a list of top-down programs imperfectly managed; not the same old story of reports written but not read. Instead, I believe in a new approach. We must forget the insulting fiction that the First Australians are a problem to be solved and, instead, have a new approach to listen to people who stand on the other side of the gap; a new approach that, from now on, the First Australians must have first say in the decisions that shape their lives; a new approach that means a stronger voice for the National Congress of Australia’s First People and the resources to make it happen; a new approach to extend ourselves beyond handpicked sources of advice; a new approach to be in the places where our First Australians live and work and play, from Mount Druitt to Logan, in the APY Lands and East Arnhem. Not treating local consultation as a box to be ticked but applying the wisdom of people who know. Understanding and recognising there are many Aboriginal nations across this country: Waanyi and Warlpiri, Badi Badi and Gumatj, Tharawal and Kuarna, Yorta Yorta and Narrunga. And all of these nations have the right to have control of their future. The change required is deeper and more profound than where we visit and who we talk to, though. I believe that First Australians want a way to be heard in a voice that they are in control of. I want Aboriginal and Torres Strait Islander people to know that Labor hears you. We understand the need for a structure that is not at the mercy of the cuts or seen as a gift of largesse; a voice that cannot be kicked to the curb by change of government or policy; an entity that recognises culture, kinship, identity, language, country and responsibility; the pride that comes from knowing who you are, where you come from and the values you stand upon; and a system where culture is central and fundamental. And have no doubt; this can be done. We see it when a Pitjantjatjara person seeks out a local healer, a ngangkari, in addition to a GP—when they see both the GP and the local healer; because spiritual wellbeing cannot be treated by a packet of Panadol alone. We see it in the Koori Court in Parramatta, using diversionary sentencing as an alternative to incarceration. The elders sit on the bench alongside the judges and ask the right questions of young people. They give the young people a sense of belonging and, if these young people muck up, the elders address them with that straight-talking freedom of family and culture, a frankness and reassurance, that even the judge can learn from. There at this court, the police, the prosecution and the defence show sensitivity to culture, yet still deal with the young person who has behaved in an antisocial way. This cross-cultural approach enhances the system, bringing Aboriginal cultures to the centre, allowing justice to be done without diminishing the individual or denying identity. It Australianises justice and makes it work better. We also see it in the best of Australian theatre and art and in education and literature. And if we can accept the value and richness of Indigenous cultural genius and allow it to impact and transform our justice system and the arts, we can do this with the Australian parliament too. In this the people’s place, we can grow an enhanced respect for the first peoples for their unique societies, for their values and for their experiences. At Redfern, Paul Keating threw down a gauntlet to us, the non-Aboriginal Australians. He posed a question that we had never asked: how would I feel if this were done to me? That question still stands before Australia, 25 years later. How would we feel if our children were more likely to go to jail than to university? . How would we feel if the life expectancy of our families was 20 years shorter than our neighbour? How would we feel if, because of our skin, we experienced racism and discrimination? And how would we feel if every time we offered a solution, an idea or an alternative approach, we were patronisingly told ‘the government knows best’? This is about our ability to walk in another’s shoes. So our test, as a people and as a parliament, is not just to craft a new response but also to rediscover an old emotion, to recapture the best of Australian compassion, to wake up our brotherhood and sisterhood and recapture our love for our fellow human being and our dedication to our neighbours, as we saw with Weary Dunlop’s devotion to his troops—the love of others over risk to self; with Fred Hollows’ life of service; and with Nancy Wake’s courage. It is actually a spirit we see in millions of ordinary Australians: carers, teachers, volunteers and emergency service personnel. It is the story that Pat told me about the matron at his school demanding that that young boy have sheets on his bed like every other young boy. It is about the lady in Casterton who said that no-one was going to treat Pat any different to any other boy. Courage comes in all forms, and it is the spirit we need. There is a spirit of courage which lurks in the hearts of all Australians. There is that sense that we, at a certain point, will be pushed no further, that we will not stand for it any more. It is that spirit to reject discrimination, to reject inequality and to simply say, ‘This cannot continue and Aboriginal people should not put up with the rubbish anymore.’ So my message today is not just for the people in this chamber but for the first peoples of this nation. We seek your help. We seek your partnership. We seek your inspiration and your leadership, because things cannot continue as they are. The audit of the Indigenous Advancement Strategy tells a worrying tale, a familiar tale. It is concern about consultation and cuts. But it speaks, though, of a problem—perhaps it is called paternalism—of a slide backwards. We see too often—and this is not a comment on the coalition or Labor; it is a comment about parliament—the legitimate cynicism of our First Australians towards the efforts of this place. There are problems written across the land, in suburbs and remote communities, in our schools and hospitals, in women’s refuges, in the courts of our country and in the targets that we fall short of today. We see it in the staggering 440 per cent increase in Aboriginal children in out-of-home care. It has been 20 years since Bringing them home, that report which brought tears to this chamber. It is nine years since Kevin Rudd and Jenny Macklin’s apology to the stolen generations—and I wish to acknowledge former Prime Minister Rudd’s presence here today in the gallery, visiting his former workplace. I say this, Kevin: you can take well-deserved pride in your leadership on the 2008 apology. But now we have more Aboriginal children than ever growing up away from home and away from kin, culture and country. We know that many members of the stolen generation are still living with the pain of their removal and the harm done by years of having their stories rejected and denied. That is why I applaud the state governments of New South Wales, South Australia and Tasmania, who are already taking steps towards providing reparations to families torn apart by the discrimination of those times. Decency demands that we now have a conversation at the Commonwealth level about the need for the Commonwealth to follow the lead on reparations. This is the right thing to do. It is at the heart of reconciliation: telling the truth, saying sorry and making good. 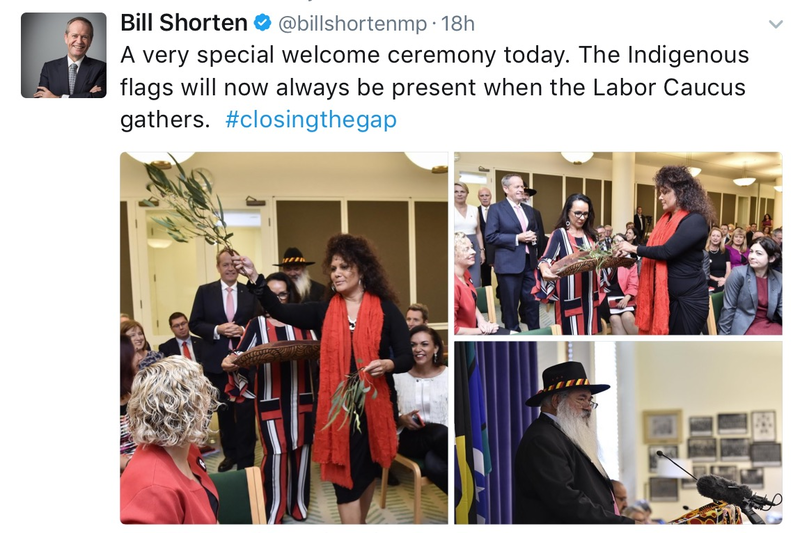 The Closing the Gap targets were agreed by all levels of government—not just the Commonwealth; the states and the local government—in partnership with Aboriginal people. The targets were driven by the understanding: that your health influences your education, that your education affects your ability to get a job, and that good jobs make thing better for families, relationships and communities. The Closing the Gap framework is an intergenerational commitment to eroding centuries of inequality. It outlives governments and parliaments and prime ministers and opposition leaders—but it also requires renewal. This year, many of the current targets are due to be renegotiated. And there are also new areas that we must consider. Labor continues to demand a justice target, because incarceration and victimisation are breaking families and communities across this country. Today we propose a new priority on stronger families—adding a target for reducing the number of Aboriginal children in out-of-home care. The Secretariat for National Aboriginal and Islander Chid Care has shone a light on this shame: one in three children in statutory out-of-home care are Indigenous. And Indigenous children are nearly 10 times more likely to be removed by child protection authorities than their non-Indigenous peers. Labour will listen to and will work with SNAICC—and, most importantly, the communities themselves—to look at new models and new approaches. Breaking this vicious cycle of family violence, of women murdered and driven from their homes, of unsafe communities, of parents in jail and kids in care, requires more from us than doubling down on the current system. We need to learn from places like Bourke and Cowra and their focus on justice reinvestment—on prevention, not just punishment; from Aboriginal and Torres Strait Islander communities who are making men face up to their responsibilities, forcing a change in attitudes and supporting great initiatives such as the ‘No More’ campaign. And that should be our story across the board: in preventative health, in education, in employment and in housing. It is time for humility—to admit that we don’t have the answers here; to go out and seek them. It is time for truth-telling. Our ancestors drove the first peoples of this nation from their bora ring; we scattered the ashes of their campfires. We fenced the hunting grounds; we poisoned the waterholes; we distributed blankets infected with diseases we knew would kill. And there has been plenty of damage done in different ways with better intentions—by the belief that forced assimilation was the only way to achieve equality. So today, I come here not to tell but to ask, because where we have failed the first Australians have succeeded. On the road to reconciliation, it is our first Australians who have led the way: giving forgiveness as we seek forgiveness; standing up and walking off at Wave Hill Station, for their right to live on their land in their way; Charles Perkins and the Freedom Riders, who opened the eyes of a generation to racism and poverty; Jessie Street, Faith Bandler, Chicka Dixon, Joe McGinniss and countless others who rallied support for the 67 Referendum under the banner ‘Count us Together’; and Eddie Mabo, who told his daughter Gail: ‘One day, all Australia is going to know my name’. 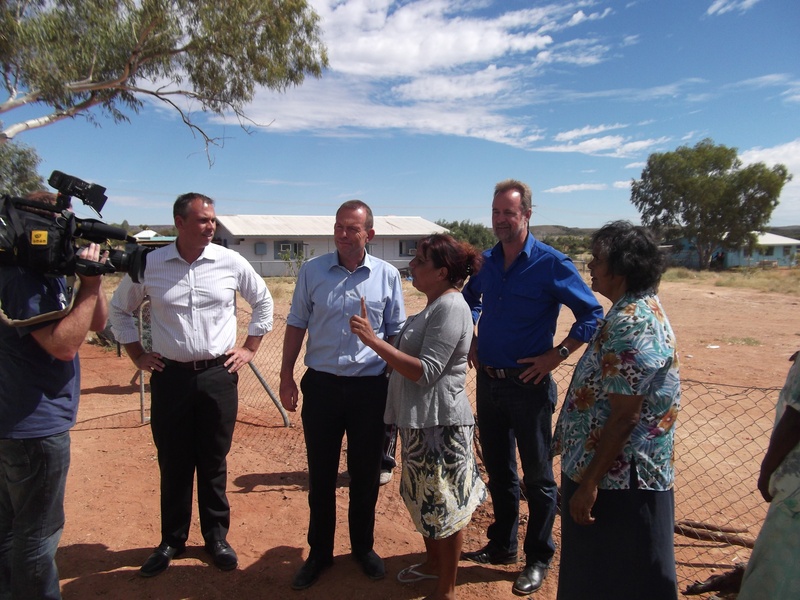 The success of Aboriginal leadership can be found in every corner of the country. I have seen it with my own eyes: the Aboriginal Community Controlled Health Organisations, providing essential primary care; marvellous Indigenous rangers, in Wadeye and Maningrida, the Central Desert and the Kimberley, working on country and on the seas and waterways, doing meaningful jobs for good wages; the Families as First Teachers program, which has given culturally-appropriate support to over 2,000 young families, helping with health and hygiene and preparing for early childhood education; Money Mob, teaching budgeting and planning skills; Deadly Choices, through the Institute for Urban Indigenous Health in Brisbane, improving preventive health; the Michael Long Learning and Leadership Centre in Darwin; the Stars Foundation, inspiring Indigenous girls, modelling the success of the Clontarf Academy for Boys; and there is the Australian Indigenous Mentoring Experience, connecting Aboriginal university students with high achievers at school. On every issue, at every age, Aboriginal and Torres Strait Islander people are demonstrating that solutions are within their grasp. Aboriginal and Torres Strait Islander people know what needs to be done. What they need from this parliament is recognition, respect and resources. We cannot swap the tyranny of bureaucracy for funding cuts and neglect. The people on the frontline—the elders, the leaders, the teachers and health-care workers—know what to do. We need to take the time to listen. We need to respect the right of Aboriginal voices to make decisions and to control their own lives—to give them their own place and space. They just need us to back them up. Fifty years ago, Oodgeroo wrote: … the victory of the 1967 Referendum was not a change of white attitudes. The real victory was the spirit of hope and optimism …We had won something. … We were visible, hopeful and vocal. All too rarely—before and since—has that been the story for Aboriginal people. Instead, it has been a tale of exclusion: exclusion from opportunity, from the pages of our history, and exclusion from the decisions that govern their lives. It is time to write a new story. And it is a story of belonging, because Aboriginal and Torres Strait Islander peoples belong to a proud tradition, of nations who fought the invaders; brave people who fought, and died, for their country, at Passchendaele, Kokoda and Long Tan, and now in the Middle East and Afghanistan; who have fought and continue to fight for justice, for land, for an apology, for recognition. You belong to a tradition of sporting brilliance, in the face of racism from opponents, teammates, administrators and even spectators. You belong to humanity’s oldest continuous culture—more famous around the world than ever before. You do not belong in a jail cell for an offence that carries an $80 fine. You do not belong strapped into a chair with a hood on your head. You do not belong in the back of a windowless van, away from your family and loved ones. You do not belong in a bureaucrat’s office begging for money. You do not belong on the streets with nowhere to go. You belong here, as members of parliament, as leaders of this nation. You belong in the Constitution, recognised at last. You belong in schools, teaching and learning. You belong on construction sites, building homes, gaining skills. You belong on country, caring for land. You belong here, growing up healthy, raising your children in safety, growing old with security. You belong here, strong in your culture, kinship, language and country. You belong here, equal citizens in this great country, equal partners in our common endeavour. This is your place. This is our place. “Labor is committed to the efforts to Close the Gap in Aboriginal and Torres Strait Islander Health and believes that central to this is the need to implement the Aboriginal and Torres Strait Islander Health Plan developed in partnership with Aboriginal and Torres Strait Islander people during the period of the Gillard Government. No group of Australians will be hit harder by the Government’s cuts to Medicare than Aboriginal and Torres Strait Islander Australians. No group of Australians will be hit harder by the Government’s attempts to drive down bulk billing and push up health costs. 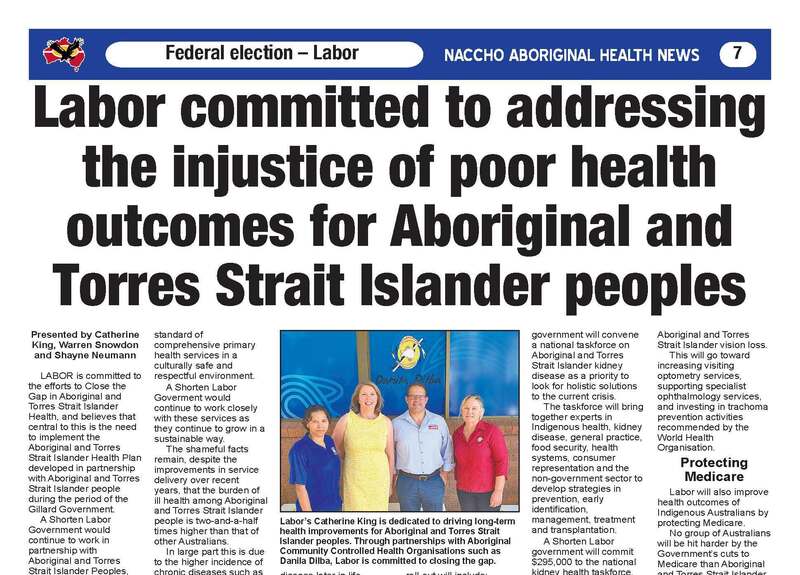 Labor committed to addressing the injustice of poor health outcomes for Aboriginal and Torres Strait Islander peoples. 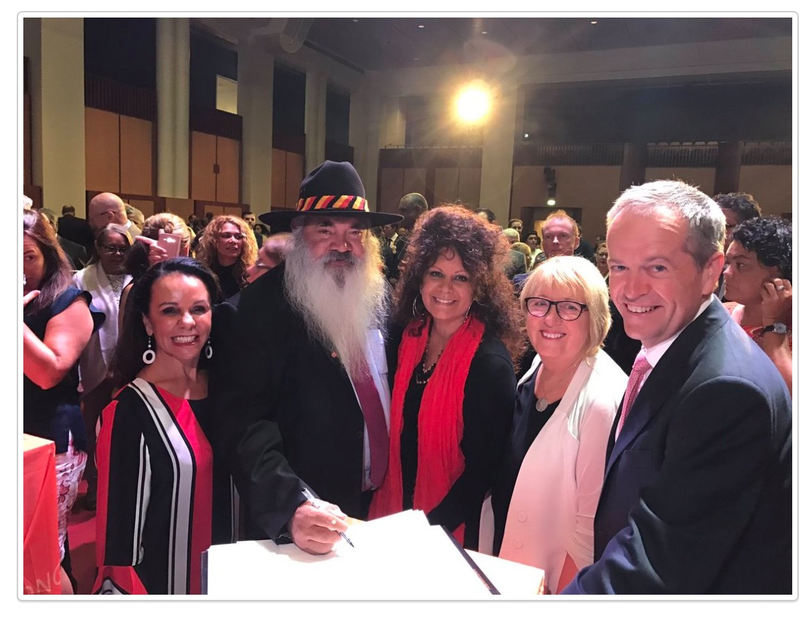 A Shorten Labor Government would continue to work in partnership with Aboriginal and Torres Strait Islander Peoples, through the National Congress of Australia’s First Peoples and relevant health organisations such as NACCHO to implement the Health Plan. In Government Labor would, in consultation with Congress, re establish the National Aboriginal and Torres Strait Islander Health Equality Council, with its costs being met through the Administered funds of the Commonwealth Department of Health. Consistent with the Health Plan, Labor is committed to improving preventative health strategies for Aboriginal and Torres Strait Islander Australians and helping to close the gap in chronic disease and life expectancy and this will be a major commitment of a Shorten Labor government. Labor understands that a primary vehicle for improving health outcomes are community based Aboriginal and Torres Strait Islander Health Organisations who provide a very high standard of comprehensive primary health services in a culturally safe and respectful environment. A Shorten Labor Goverment would continue to work closely with these services as they continue to grow in a sustainable way. The shameful facts remain, despite the improvements in service delivery over recent years, that the burden of ill health among Aboriginal and Torres Strait Islander people is two-and-a-half times higher than that of other Australians. In large part this is due to the higher incidence of chronic diseases such as diabetes, cardiovascular disease, respiratory disease and kidney disease; much of this is preventable. This is simply unacceptable to Labor, is a national disgrace and must be addressed.. In response to this crisis and after having consulted widely, a Shorten Labor Government will invest in tailored, culturally-appropriate health programs aimed at preventing chronic disease for Aboriginal and Torres Strait Islander Australians. As a first step Labor acknowledges the importance of the first thousand days of a child’s life from conception. A Shorten Labor Government will continue to prioritise programmes, such as the Nurse Family Partnership, Abicadarian and other successful maternal and child health programme as a primary tool for the prevention of the onset of chronic disease later in life. Labor sees a strong relationship between these programmes and our commitment to Children and Family Centres in improving the life outcomes for Aboriginal and Torres Strait Islander children. 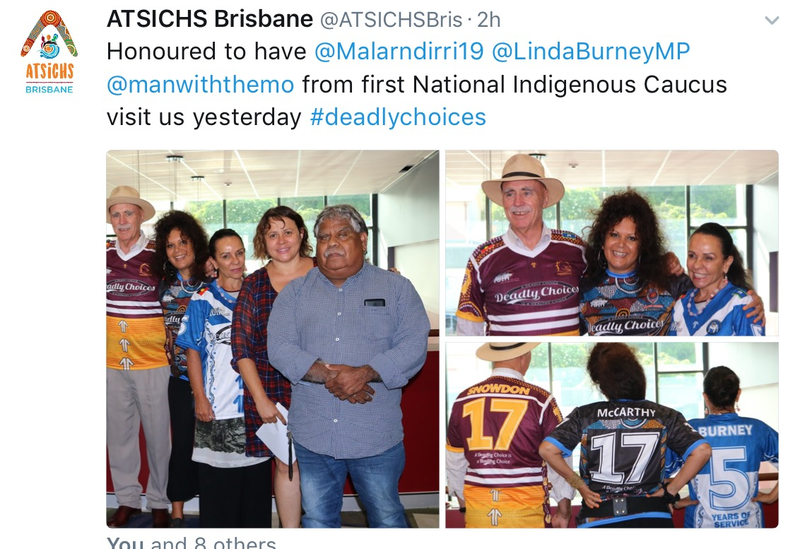 Deadly Choices is a successful initiative of the Institute of Urban Indigenous Health (IUIH) that aims to encourage Aboriginal and Torres Strait Islander Australians to improve their own and their families’ health by improving their diet, exercising regularly and quitting smoking. A Shorten Labor government will provide $5.5 million per year to partner with the IUIH in rolling out Deadly Choices across the country. Aboriginal and Torres Strait Islander peoples are more than twice as likely as other Australians to have indicators of chronic kidney disease. The incidence of end-stage kidney disease for Aboriginal and Torres Strait Islander people is especially high in remote and very remote areas. A Shorten Labor government will convene a national taskforce on Aboriginal and Torres Strait Islander kidney disease as a priority to look for holistic solutions to the current crisis. ( Not sure that this sentence is necessary)In particular, it will address coordination of the complex and fragmented health and social supports for Aboriginal and Torres Strait Islander families affected by kidney failure. The taskforce will bring together experts in Indigenous health, kidney disease, general practice, food security, health systems, consumer representation and the non-government sector to develop strategies in prevention, early identification, management, treatment and transplantation. Aboriginal and Torres Strait Islander adults are six times more likely to suffer from blindness and 94 per cent of this vision loss is either preventable or treatable. 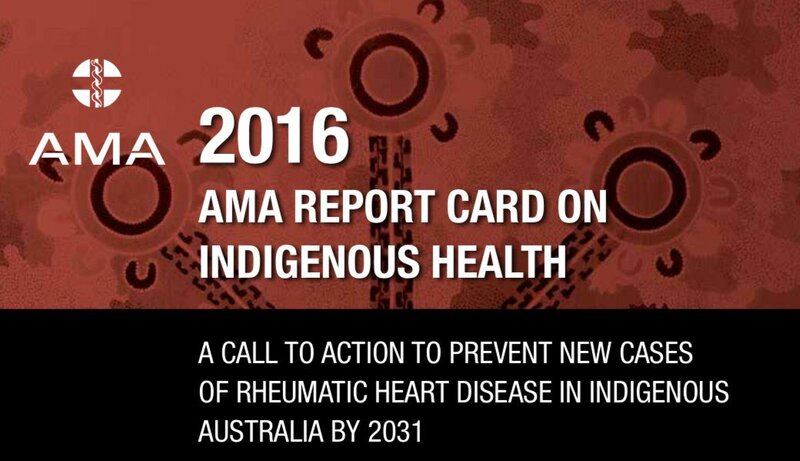 Remedying this would alone account for an 11 per cent improvement in health outcomes between Aboriginal and Torres Strait Islander peoples and other Australians. Australia is the only developed nation where the infectious and wholly preventable eye disease trachoma still exists and it only exists among Aboriginal and Torres Strait Islander people. Around 35 per cent of Aboriginal and Torres Strait Islander adults have never had an eye exam. Trachoma can be eliminated from Australia by 2020 if we give this problem the attention it is due. A Shorten Labor government will invest $9.5m to close the gap in Aboriginal and Torres Strait Islander vision loss. Labor will also improve health outcomes of Indigenous Australians by protecting Medicare. No group of Australians will be hit harder by the Government’s attempts to dive down bulk billing and push up health costs. Aboriginal Community Controlled Health Organisations would find it impossible to absorb the costs of these actions and their patient services would be compromised. That’s why Labor will protect Medicare, ensuring universal and affordable healthcare is available to all Australians. Labor will protect bulk-billing by ending the Medicare Freeze and abolishing Malcolm Turnbull’s GP tax-by-stealth. We will keep medicines affordable by scrapping the Liberals’ price hikes. And we will legislate to prevent Medicare from being privatized. Only Labor cares about a public health system for all Australians and is committed to addressing the injustice of poor health outcomes for Aboriginal and Torres Strait Islander peoples. The NACCHO 2014 Summit in June at the Melbourne Convention Centre offers an unparalleled opportunity for you to build relationships with NACCHO, our affiliates, stakeholders, government and our 150 Aboriginal community controlled health organisations that are committed to improving Aboriginal health and Closing the Gap by 2030. 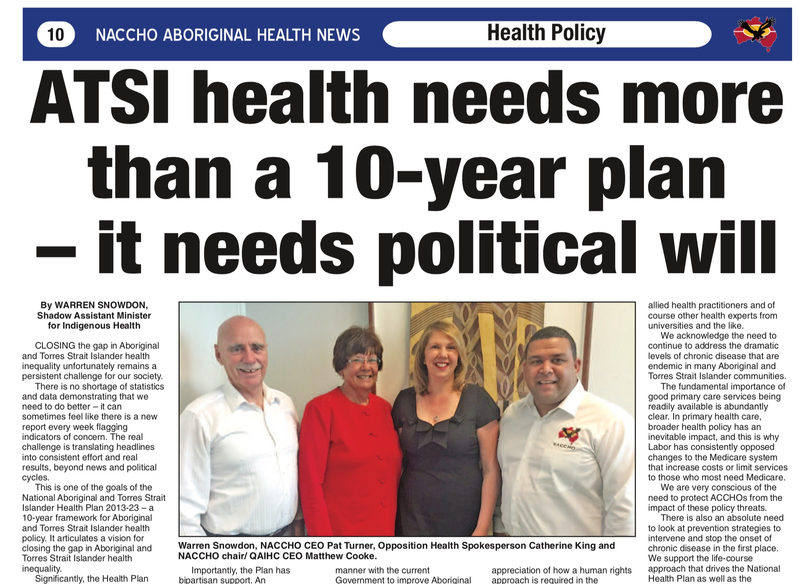 “Investing in Aboriginal community controlled health makes economic sense.” After reading this newsletter and obtaining our Summit Partnership and Exhibition Opportunities prospectus, we think you will agree that a sponsorship investment in the NACCHO 2014 Health Summit “makes economic sense”. Delegates at the Summit will be looking for partnerships, products and services that will help them improve delivery of comprehensive primary health care for their patients and communities and the overall cost efficiency of their service finance and administrative delivery. 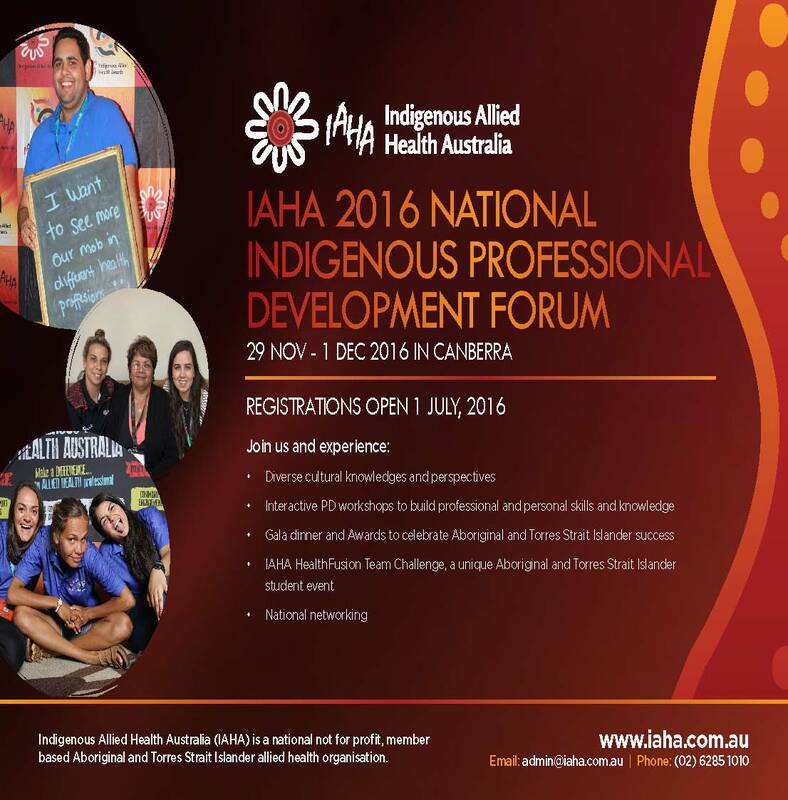 Become a sponsor and take advantage of the many excellent sponsorship and exhibition opportunities that are available to promote your organisation at Australia’s most prestigious and well-attended Aboriginal health conference. What you will achieve by sponsoring and exhibiting? Achieve profile and brand enhancement through your association with, and support for Australia’s national authority in comprehensive Aboriginal primary health care. BENEFITS OF PARTNERSHIP NACCHO Member Services and state territory Affiliates will be attending the Summit so this is a perfect opportunity to interact with delegates first hand. 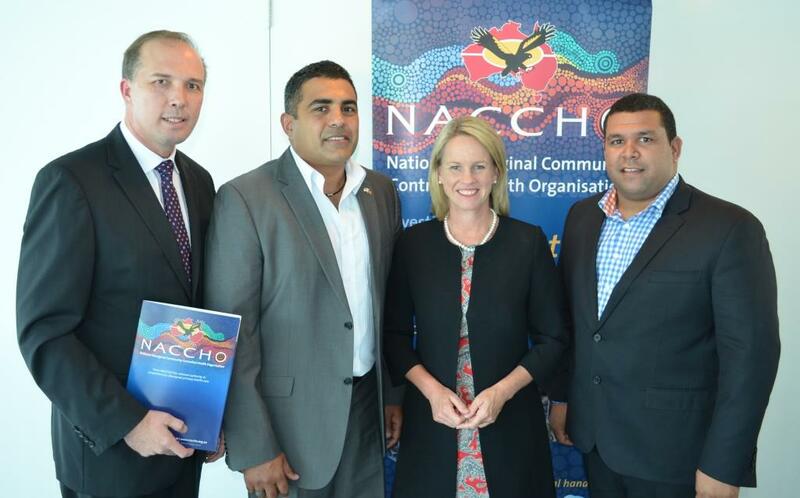 It is a unique opportunity for government, non-government organisations, and private industry to promote their products and services to NACCHO member services from all over Australia. 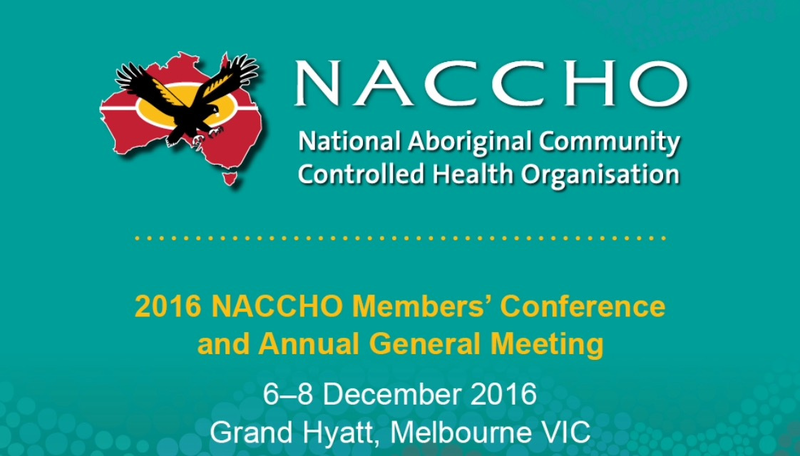 This is the premier opportunity for your organisation to become the major sponsor of the National Aboriginal Community Controlled Health Organisation’s (NACCHO) 2014 Healthy Futures Summit. Your organisation will have an exclusive profile for the period leading up to the Summit and at the event, with your organisation’s logo displayed in conjunction with the Summit logo. One complimentary exhibition stand (3m x 3m) in your preferred position from the spaces available. The chance to prominently display your corporate banner (to be provided by your organisation) in the main plenary room during the Summit. Your organization’s name/logo will be displayed in conjunction with the Summit logo in a prominent position at the Summit to ensure maximum exposure. As well as the following acknowledgement; “The NACCHO2014 Healthy Futures Summit is proudly supported by our Platinum Sponsor (your Company Name/logo Displayed Here)”. Acknowledgement as Platinum Sponsor in publicity associated with the Summit marketing. Your organisations logo will be prominently featured on a range of print materials (excluding pads, pens, name badges, lanyards and satchels). Acknowledgement as the Platinum Sponsor of the Summit on the website with a short organisational profile and a link to your organization’s website. Your logo will be displayed on the cover of the Summit program as the principle sponsor of the summit. Your logo will be displayed on the Summit name badges as the principle sponsor of the summit. An opportunity to address the Summit in plenary sessions. The opportunity to include a suitable promotional item or a piece of literature (one flyer or brochure) in the Summit satchel. Your organisation will receive two complimentary satchels with all the Summit information and materials. You will also receive an additional two complimentary to the Welcome Event and Dinner with a reserved table. Only ONE available (price on application) This is an opportunity for your organisation to become the Gold Sponsor of the NACCHO’s 2013 Summit. Your organisation will have a high exposure for the period leading up to the event, with your organisation’s name and logo displayed in conjunction with the Summit logo. You will have the opportunity to offer your products and services to the entire delegation as well as all of the summit break hospitality will be held in the exhibition area. Delegates will also be encouraged to visit all stands if the Expo passport sponsorship is taken up. 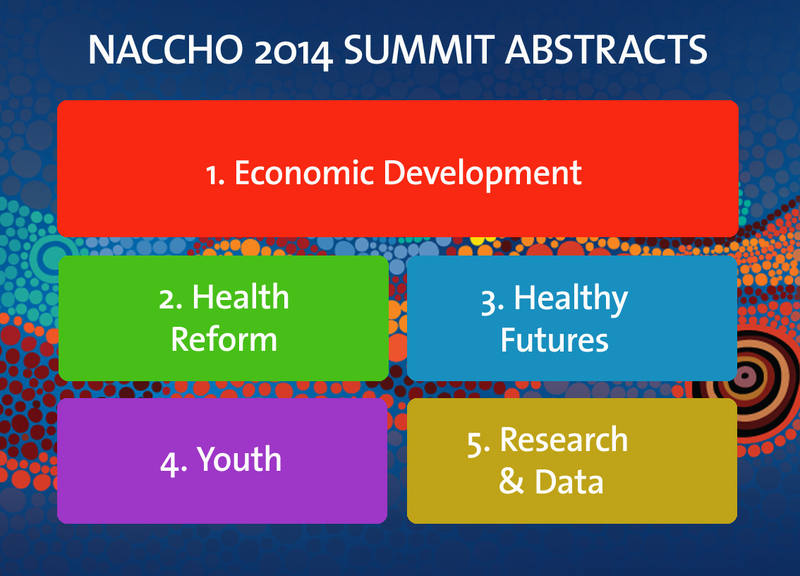 This is an opportunity not to be missed, become one of two Silver Platypus and Bandicoot Passport Sponsors of the NACCHO2014 Healthy Futures Summit. Each delegate will be given your passport at the beginning of the Summit and, if they visit of the booths and have their passport stamped they are eligible to win one of several major prizes drawn at the end of the Summit. Only THREE Available Become the Lunch Sponsor of the NACCHO 2014 Summit for a day. Get your business logo mobile, as this sponsorship option allows your organisation to become the Satchel Sponsor. These quality satchels will be handed to all delegates and exhibitors at the Summit. Take a firm grasp of this marketing opportunity. Become the pads & pens Sponsor at the NACCHO 2014 Summit. All advertisements will be printed in colour and must be according to your specifications. 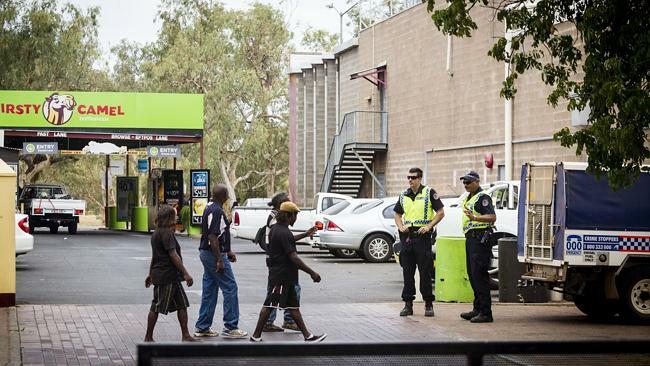 One new policy that does appear effective is stationing police officers outside bottleshops. Regrettably this has also stirred up racial tension. The officers check drinkers’ IDs to see if they live in a proscribed area, and confiscate their purchases if they do. John Boffa (Congress Aboriginal Health ) a spokesman for the People’s Alcohol Action Coalition, estimates reductions in domestic violence of up to 50 per cent in Alice Springs when police cover all 11 liquor outlets at once. IF the Northern Territory were a country, it would rank alongside vodka-soaked ex-Soviet republics in terms of per capita alcohol consumption; not long ago it would have been second in the world. Alcohol abuse costs the NT about $642 million annually in police time, corrections, judicial support, medical treatment and lost productivity – equivalent to roughly $4000 per person or 4 1/2times the national average – according to research quoted by the government last year. The latest figures show per capita alcohol consumption is again on the rise, ending a six-year decline. Territory drivers are 20 times more likely than the national average to be caught over the limit; booze is a factor in many road deaths. A majority of Territory assaults involve alcohol and the Territory’s assault victimisation rate is more than 50 per cent above the rest of the nation’s. In 2011-12, indigenous women were 18 times more likely to be bashed than non-indigenous women, and four times more likely than the Territory average. Last financial year saw almost 40 per cent more alcohol-related assaults and almost 60 per cent more domestic violence related assaults than the equivalent period five years ago. Since the Country Liberals took office 18 months ago, Aboriginal groups and legal and health policy experts have accused the Territory government of criminalising drunkenness, ignoring evidence and favouring the interests of the alcohol industry. After repeatedly dodging questions about the saga unfolding on his doorstep, federal Indigenous Affairs Minister and NT senator Nigel Scullion proposed a sweeping national inquiry into drinking habits. 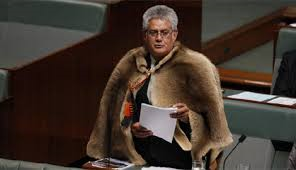 The following day he appeared to have been overruled by his colleagues in favour of a tighter probe into Aboriginal drinking that will scrutinise the CLP policies more closely. Giles has already suggested any inquiry would be “navel gazing”. Nevertheless, the process offers his government an opportunity to gracefully adjust its course. The CLP’s first act in office was to abolish Labor’s Banned Drinker Register, a point-of-sale supply restriction designed to curb heavy drinking. For almost a year, while the new government convulsed with internal ructions, nothing replaced the BDR. Then less than a month after Giles took power in a coup in March, his government unveiled a forced alcohol rehabilitation program called Alcohol Mandatory Treatment. The scheme, which has been running for seven months, involves locking up habitual drinkers in treatment centres with fences and guards. Associated legislation was passed in the face of vocal opposition. At about $43,000 per drinker treated, AMT is more expensive than many private rehabilitation clinics. Experts think 5 per cent success would be good going. More than 150 people have completed the program; the government has established 120 beds. Alcohol Rehabilitation Minister Robyn Lambley says some patients have had their lives changed, but others are known to have relapsed. Before Christmas a system of on-the-spot alcohol bans, Alcohol Protection Orders, was also legislated, again despite opposition. These affect people charged with, but not necessarily convicted of, offences in which alcohol was deemed a factor. Not long ago a doctor who played a key role in establishing AMT, Lee Nixon, walked out in disgust. “A large number of (AMT patients) had little understanding of the process, and at the end of the time when they were there, were still asking, ‘Why am I here?’,” Nixon told ABC’s Lateline. “At the outset it was clear that we were introducing a program with no evidential base for effectiveness.” One drinker had her treatment order overturned by a court on the grounds she received it without proper legal representation. Justice groups say few drinkers appear before the AMT Tribunal with a lawyer. Priscilla Collins, chief executive of the North Australian Aboriginal Justice Agency, thinks both AMT and APOs unfairly target the most disadvantaged, who are often also the most visible. “They will probably end up going back to the long grass,” she says. Shortly after taking up his post, Alcohol Policy Minister Dave Tollner openly acknowledged one of AMT’s goals was to push drinkers to “go and hide out in the scrub”. AMT is now being reviewed. The CLP has trenchantly refused to contemplate imposing any new supply restrictions. Giles told a gathering of hoteliers drinking was a “core social value”, while Tollner said Labor had treated publicans “akin to heroin traffickers”. The latest round of annual political returns to the Australian Electoral Commission reveal the alcohol industry’s main lobby, the Australian Hotels Association, has emerged as the Territory’s largest political donor. The organisation contributed $300,000, split between the major parties in the lead up to the August 2012 Territory election. According to an analysis of declared donations, the lobby donated almost 14 times as much per head of population in the Territory while the BDR was in place than it has in any other jurisdiction in the past decade. At the time it was abolished there was little evidence clearly supporting the BDR. However it has since become clearer that although policy did not turn around increases in alcohol-related harm and violence as promised, it may have blunted them. Some quite senior CLP figures talk privately about bringing the BDR back. One new policy that does appear effective is stationing police officers outside bottleshops. Regrettably this has also stirred up racial tension. The officers check drinkers’ IDs to see if they live in a proscribed area, and confiscate their purchases if they do. John Boffa, a spokesman for the People’s Alcohol Action Coalition, estimates reductions in domestic violence of up to 50 per cent in Alice Springs when police cover all 11 liquor outlets at once. Combined with AMT’s high price tag, the government’s measures do not look at all cost effective. Assuming the number of people taking up drinking is proportional to population growth overall, the government would need at least five times the present number of AMT beds just to keep the number of alcoholics stable. The cost of that would exceed $1 billion by the end of the decade, or roughly 20 per cent of last year’s Territory budget. Higgins called for a bipartisan inquiry with measures his government officially opposes – an alcohol floor price, shorter opening hours and BDR-like supply controls – put back on the table. “While they do inconvenience a lot of people, all of them should be considered,” he said. Kelly thinks there is a “gaping hole” in public policy around alcohol supply issues. “Neither the Labor government or the CLP government has covered itself in glory when it comes to that type of thing because they’re simply too close to the industry,” he says. A serious investigation would need to consider not just the efficacy of a range of policies, but the circumstances in which they are applied. Alcohol bans in remote communities push drinkers into towns, where their drinking often worsens. Proscribed urban areas leave residents who can legally buy takeaway alcohol unable to legally drink it. Stationing police outside bottleshops increases familial pressure on those living in non-proscribed areas to become involved in the alcohol supply trade; anecdotal evidence suggests the black market is thriving. Some federally administered draft alcohol management plans are stuck in limbo, in part because it is unclear what the basic requirements are for Aboriginal communities to responsibly manage alcohol themselves. Community leaders often blame disenfranchisement for their giving up on the task. Many people familiar with these issues say the solutions lie not in textbooks or boardroom chats, but in the lives of Aboriginal people; another desktop study will not help. It is also worth considering whether alcohol-related harm can be reduced to acceptable levels soon, or just mitigated and hidden. Not even the last of those has been accomplished so far. NT Attorney General John Elferink argues for stricter controls on welfare to break the link between welfare dependency and drinking: “We can build massive institutions to deal with alcoholism, but while the federal government pours free money into our jurisdiction, spending millions of dollars every fortnight, we as a government are going to be spending millions of dollars every fortnight cleaning up the mess.” Without action on several of these fronts, the NT’s alcohol abuse crisis looks likely to get worse.